Workmen remove tube of the University's 24-inch Schmidt telescope at the Portage Lake Observatory near Dexter yesterday prior to shipping the instrument to Chile where a U.S. astronomy observatory is being built in the Andes Mountains. The U.S., a European group, and the Soviet Union are all building observatories in the Andes in a race to make the first detailed exploration of the southern hemisphere sky. 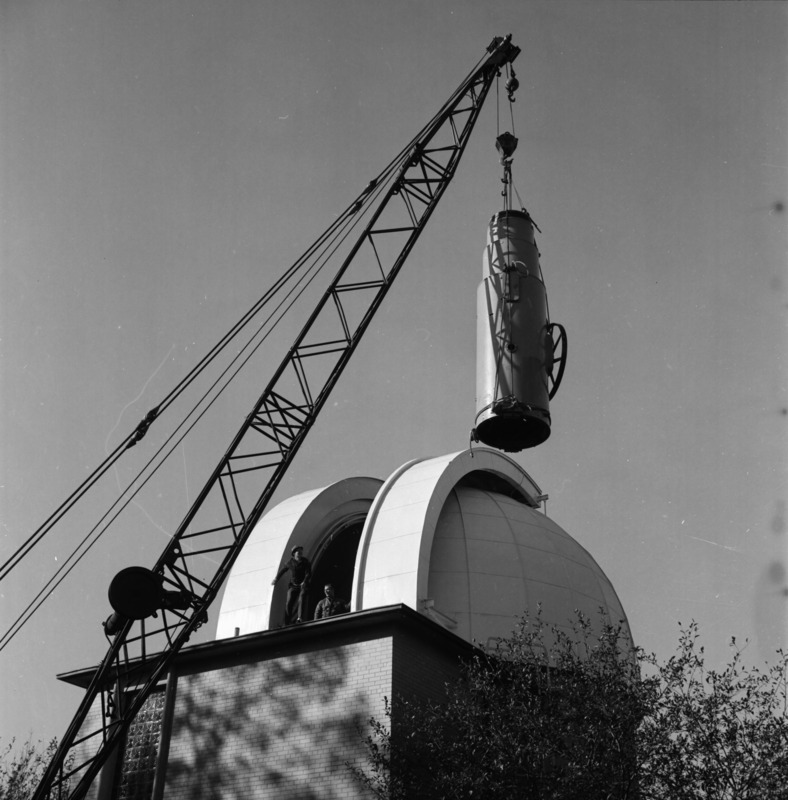 The U-M telescope will be returned to Ann Arbor after five years of observations. The removal of the instrument is being supervised and paid for by the National Science Foundation.